Judge Kissell has been a resident of Tempe since 2007 and has served as Justice of the Peace since 2014. Throughout his tenure as your Justice of the Peace, Tyler has focused on improving access to justice, innovative measures, and providing new opportunities for his constituents, peers, and all parties to litigation. During his term, he has chaired both the Technology Committee and the Education Committee of the Maricopa County Justices of the Peace, championed FAIR justice reforms within his court, and has helped establish the video court system used countywide to reduce costs and hold times for detainees. 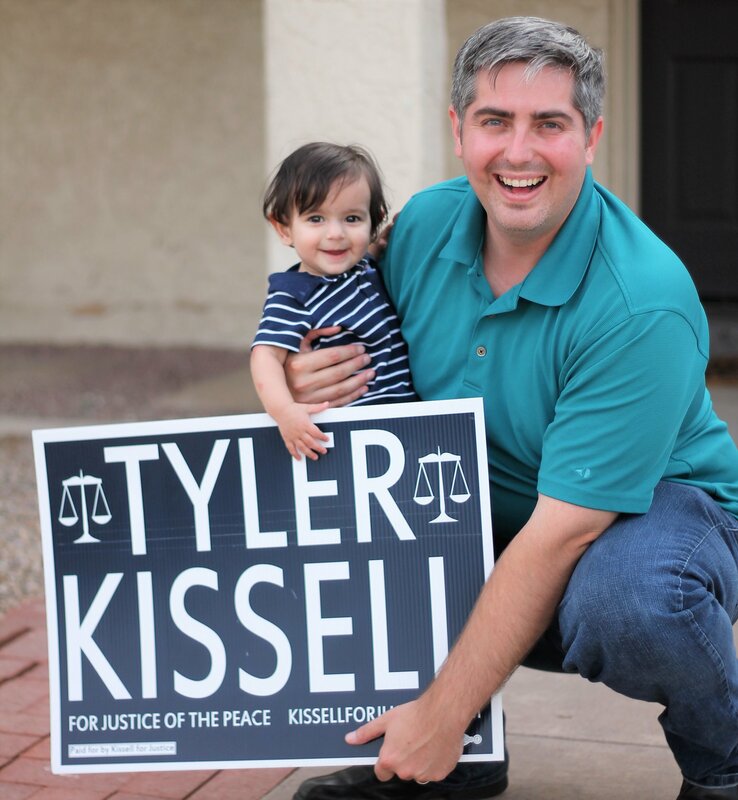 Judge Tyler Kissell has been honored to serve you and humbly seeks reelection to the position of Justice of the Peace for the University Lakes district. As Chair of the Technology Committee, Judge Kissell spearheaded the county’s efforts to establish the Video Appearance Center, allowing defendant in custody to appear remotely to any court in Maricopa County. The measure drastically reduced transport costs throughout the county and time in custody for defendants, allowing them to return to work and their families. Tyler reestablished the “Teen Court” program in the University Lakes Justice Court. Teen Court is a diversion program for juvenile first-time offenders, providing minors with an avenue to keep their criminal record clear as well as an educational opportunity to familiarize themselves with courtroom procedures and develop critical thinking skills. As the current chair of the Education Committee, Tyler is responsible for ensuring all new judges have the resources they need to represent the county and fairly administer justice when they take the bench. To that end, he has headed county efforts to provide craft curriculum that serves a diverse bench with vastly different constituencies and dockets and provide new training opportunities for elected justices and pro tem judges.